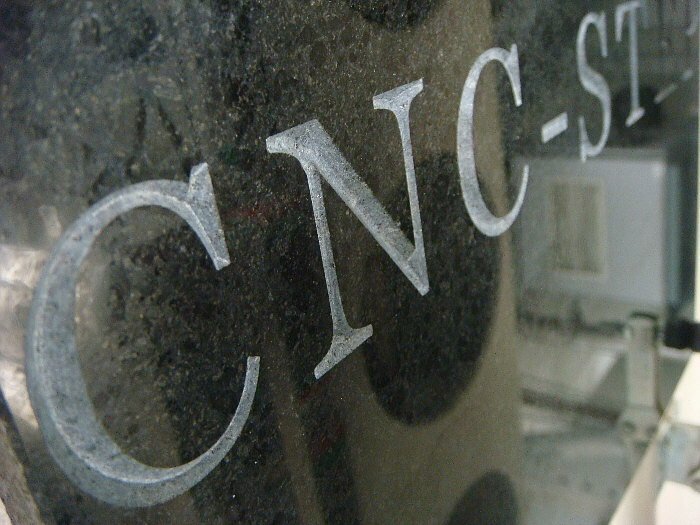 Beside milling metal, the machining of stone makes the highest demands in the CNC manufacturing. 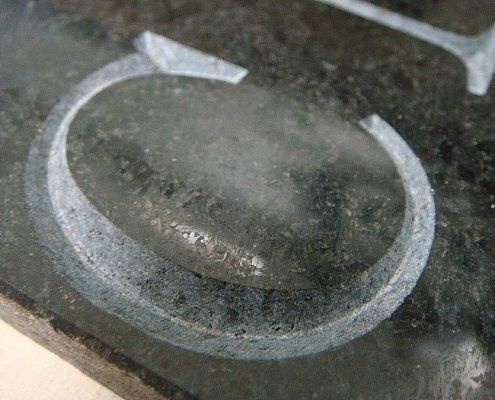 When it comes to deep machining of granite, marble and slate, it turns out if the machine construction is stable enough in all axes to avoid the bending of the components during the machining process. 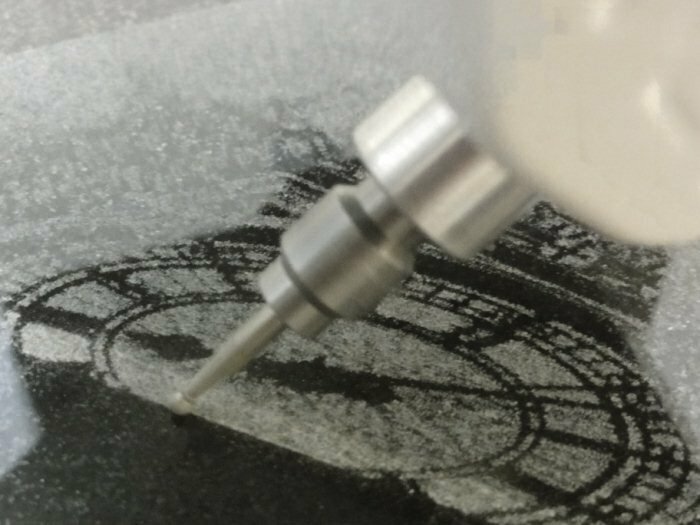 An unstable built CNC router cannot process the milling paths precisely and produces inaccurate results. 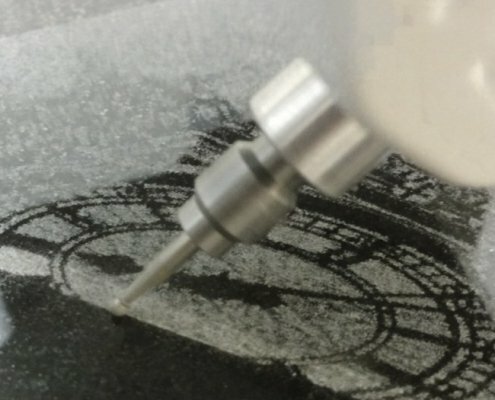 You can visualise this by imagining a machine which is supposed to mill a straight line into stone, but due to the bending of the Z-axis, the milling cutter shifts left and right which makes it impossible for the machine to create a straight line. 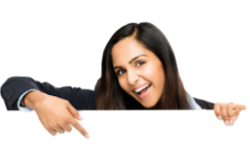 You should better expect to spend more money. 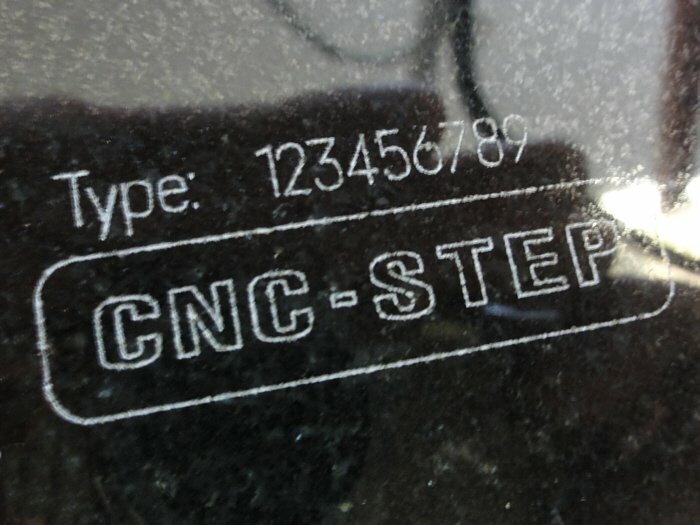 Usually, cheap CNC routers cannot mill resistant stone in the deep. 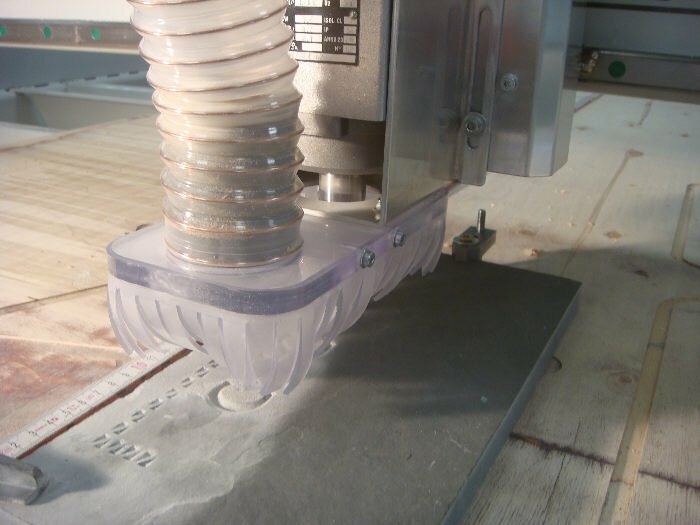 We recommend only to buy a machine you have seen in action before. 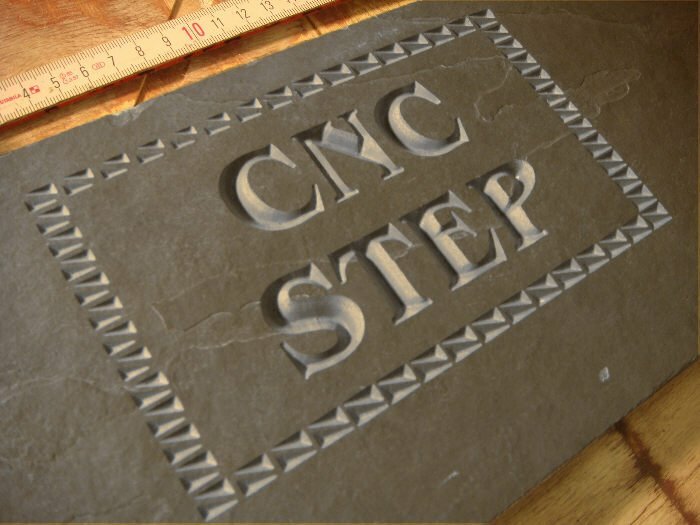 A demonstration with your desired material helps you to decide if the CNC router can mill stone precisely. 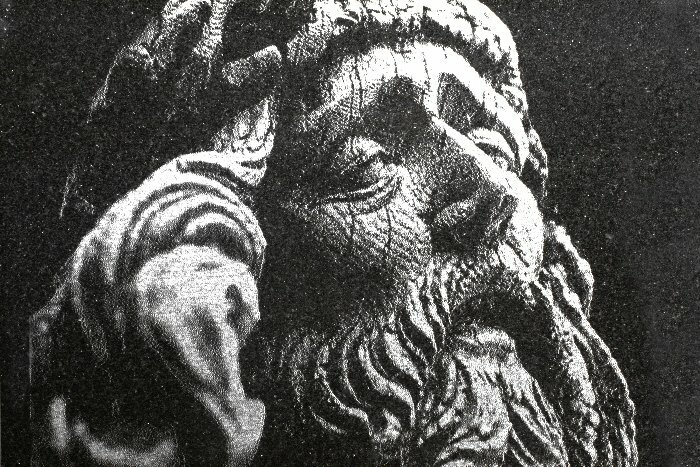 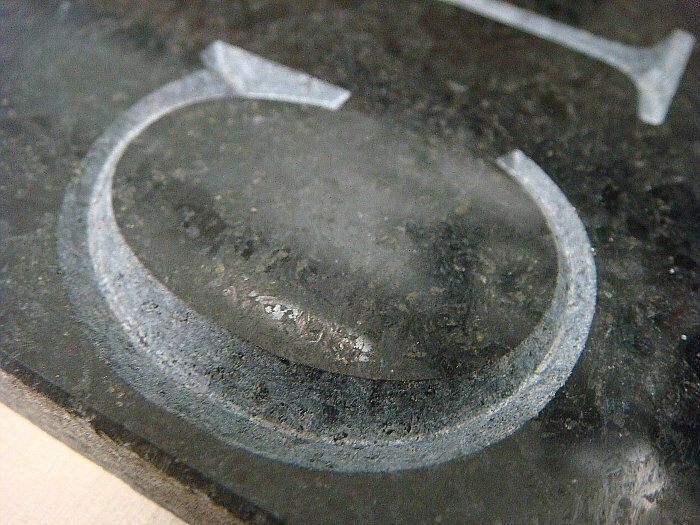 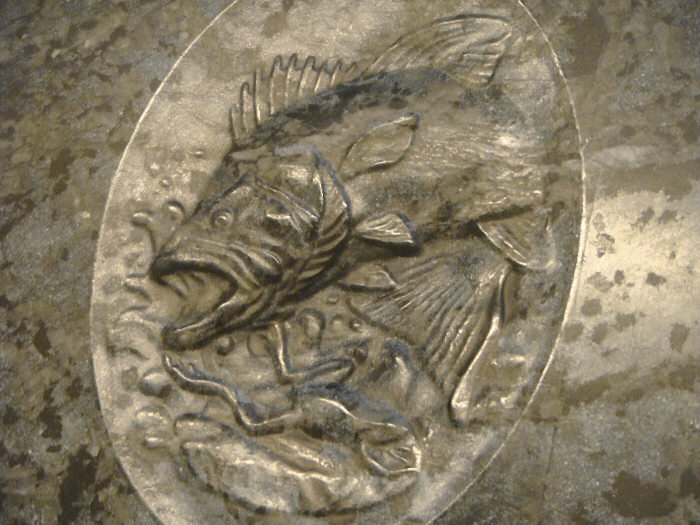 Engraving a 3D relief in stone looks quite impressive. 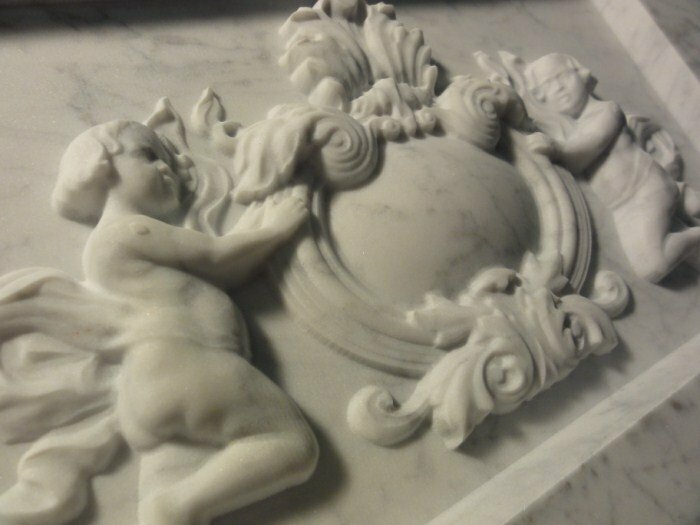 A wall decorated with marble plates and 3D reliefs is a real eye-catcher. 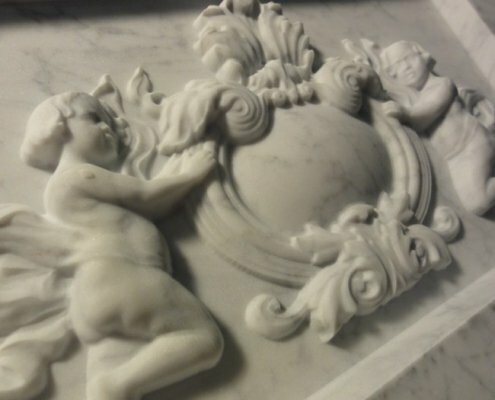 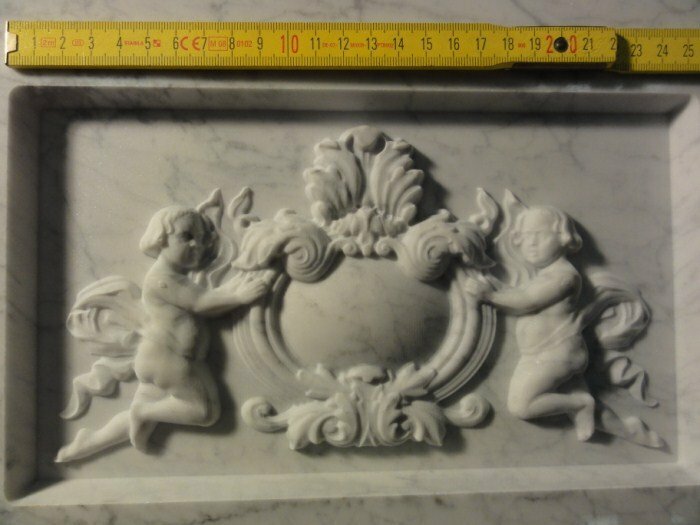 The fine contours of the angel figures we milled in a marble plate, a sculptor could not have worked out better, especially not at the same time as the machine accomplished the engraving. 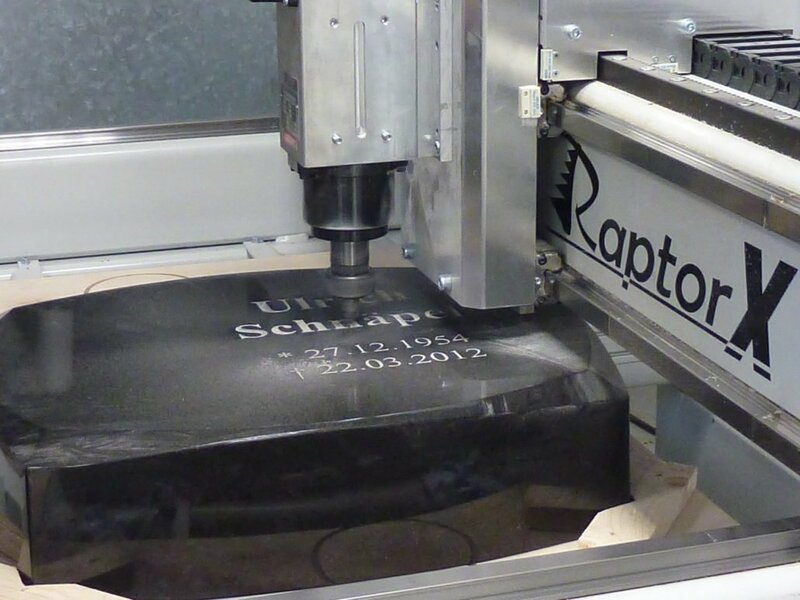 It took only 4 hours for the RaptorX-SL milling machine to finish this masterpiece. 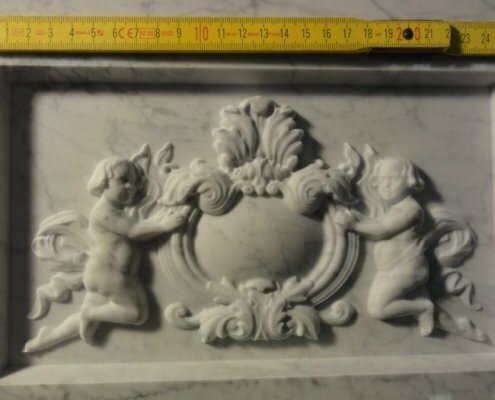 Considering that the stone is solid Carrara marble, the CNC machine has accomplished the 3D stone engraving in a little while. 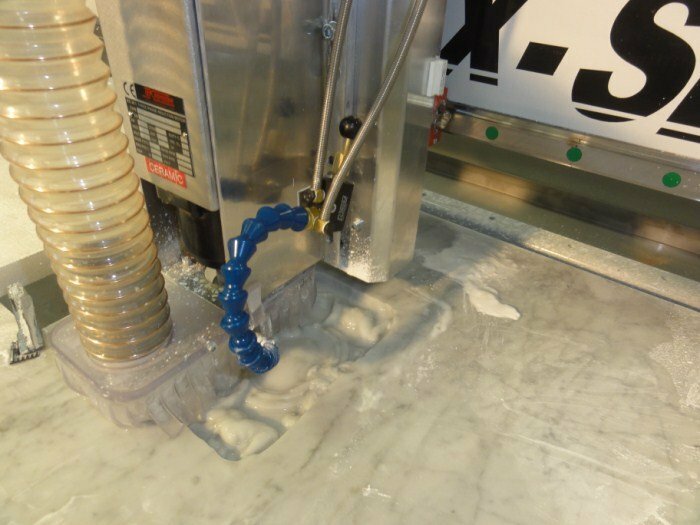 The machine processes the data of the CAD software ConstruCAM 3D line by line with a misalignment of 0,3mm in the 20mm thick marble plate and removes only the necessary material for the 3D relief to arise. 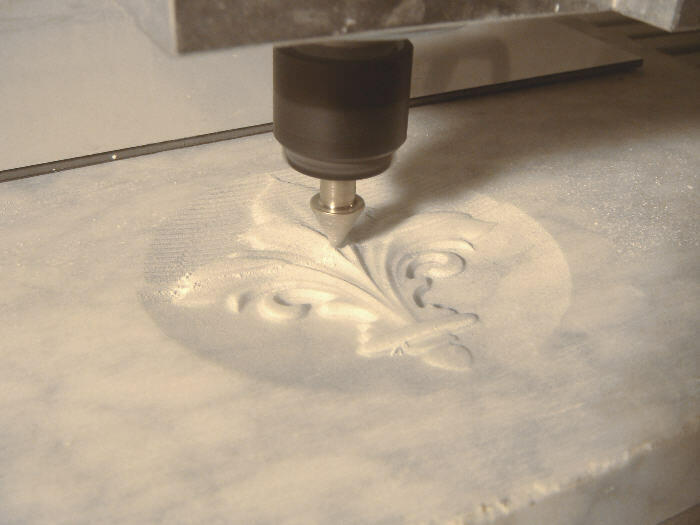 We used a spray cooling to keep the wearing of the milling tool as little as possible. 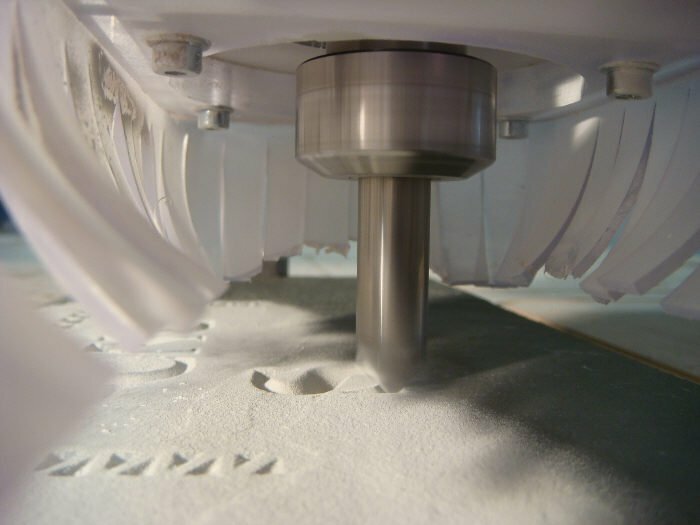 Apart from that, we vacuumed the dust directly at the milling cutter to avoid any health risks. 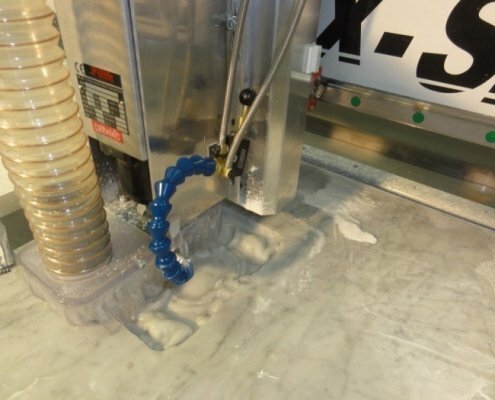 Doing so you can keep standing beside the CNC Mill without wearing a dust mask. 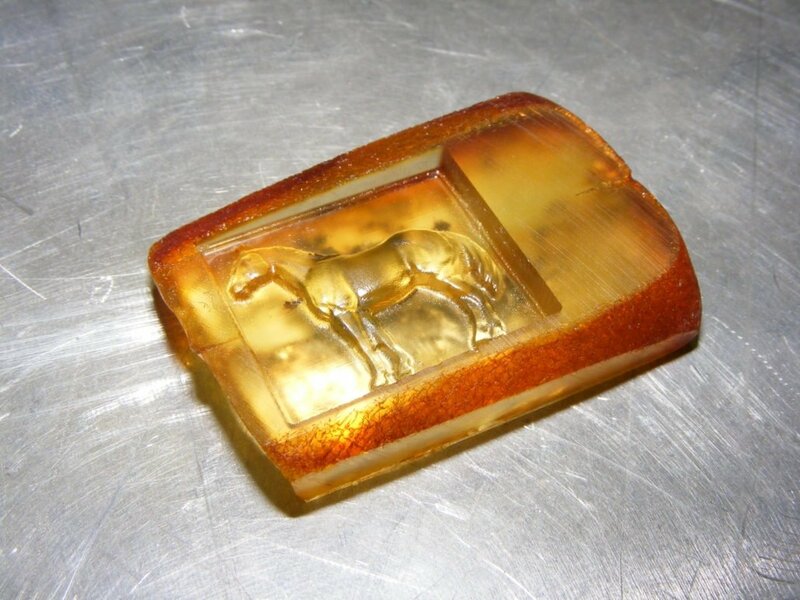 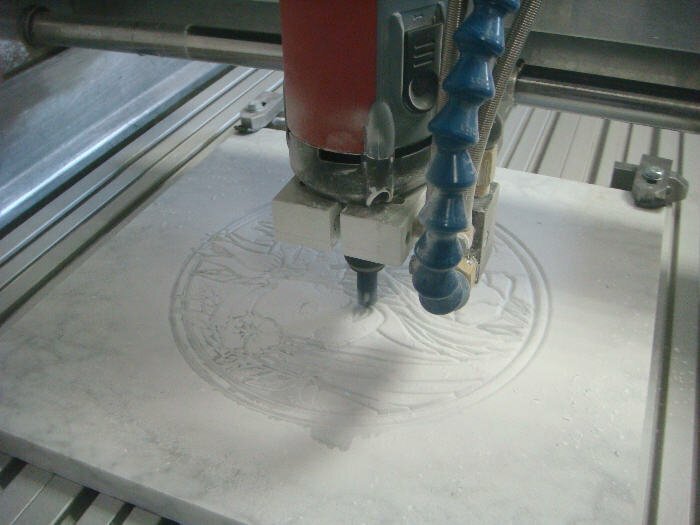 Beside stone engravings done by milling, we provide suitable CNC equipment for engraving photos on stone. 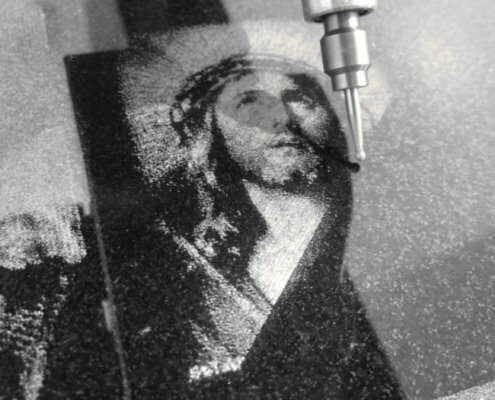 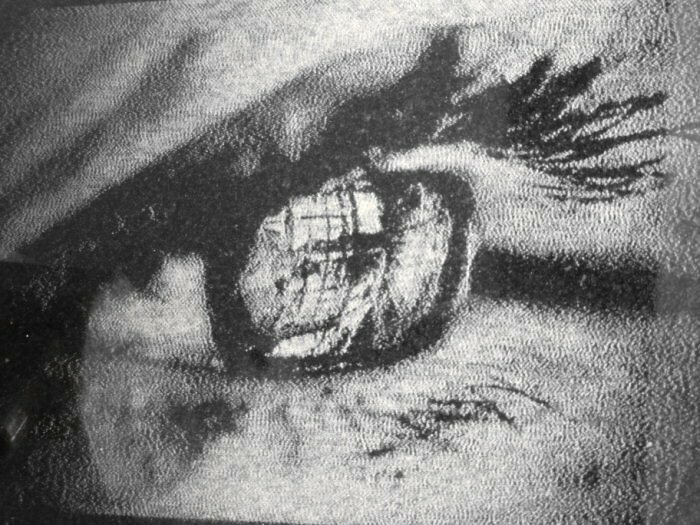 The engraving module GranitoGrav grinds the picture with a rotating diamond tool into the rock surface using different grey shades. 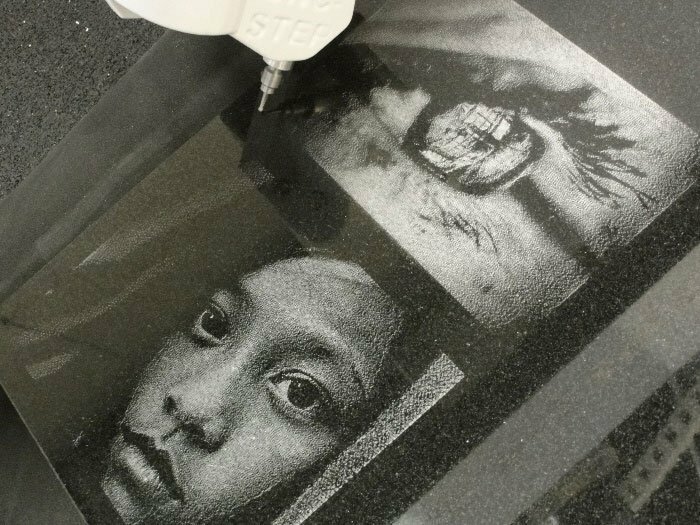 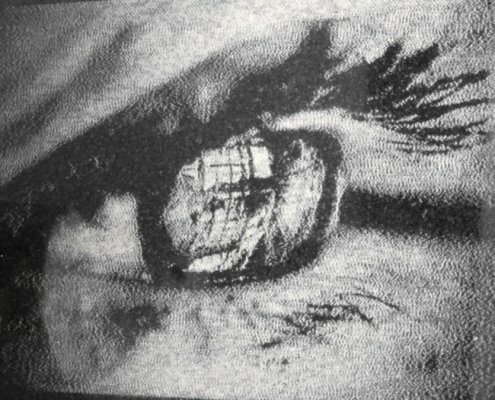 The engraved photo is put together by the contrast of light and dark tones of grey. 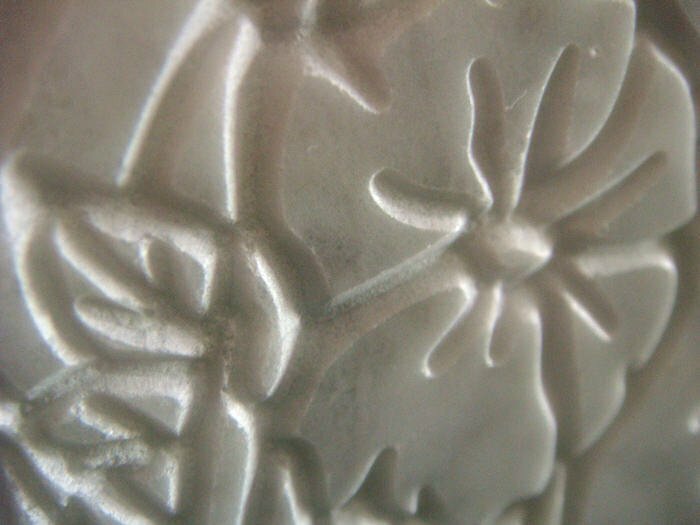 The contrast becomes most visible on dark materials with a flat surface. 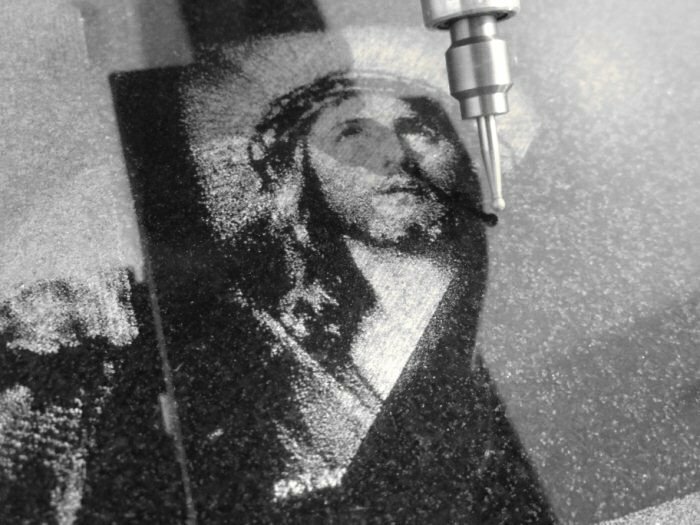 This is the reason why headstones, tomb slabs and memorial stones made of granite are perfectly suitable for grinding photo engravings on them. 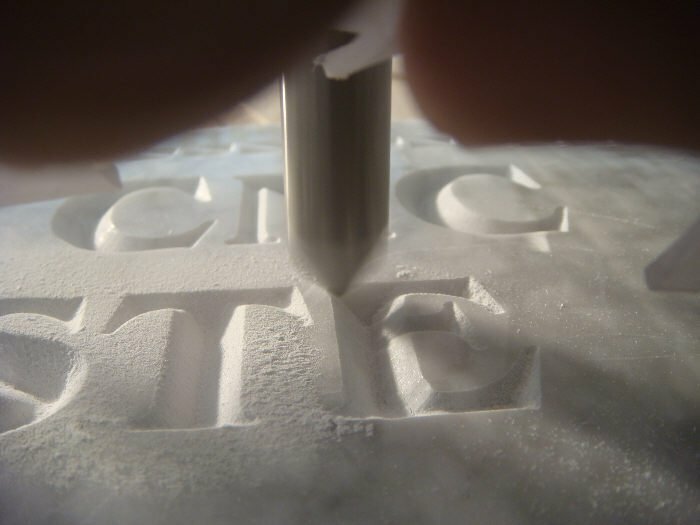 As the name implies, V-carving is V-shaped lettering on tombstones. 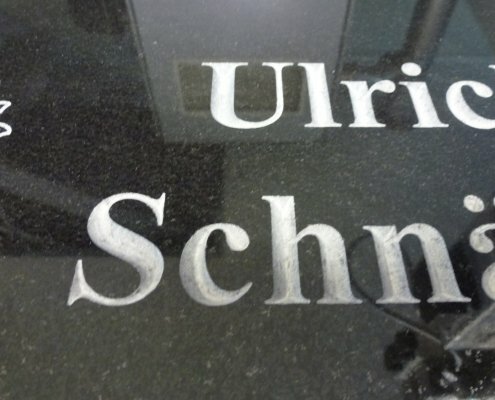 The letters have a 3D-effect which looks very stylish as if it was made by a stonecutter. 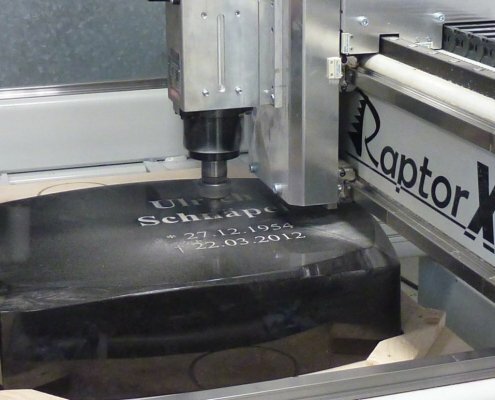 Especially for the lettering of tombstones, a stable CNC mill is worth to buy. 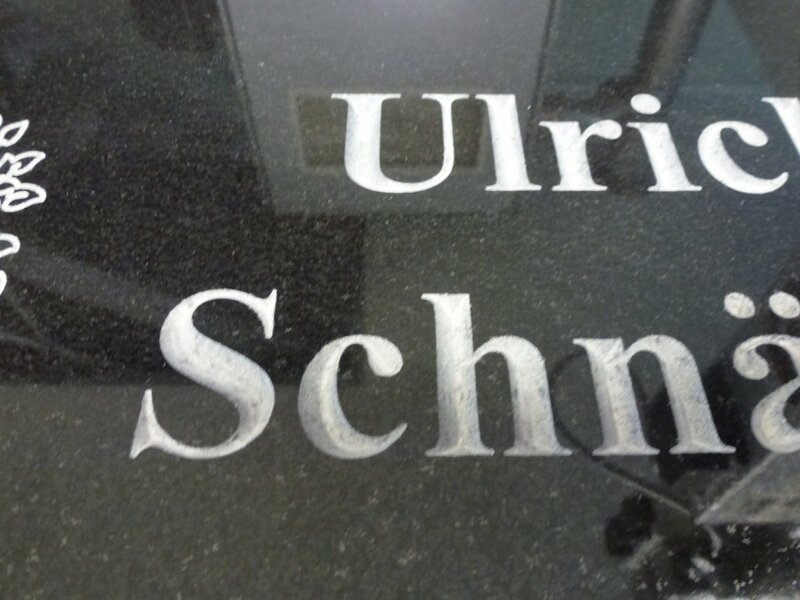 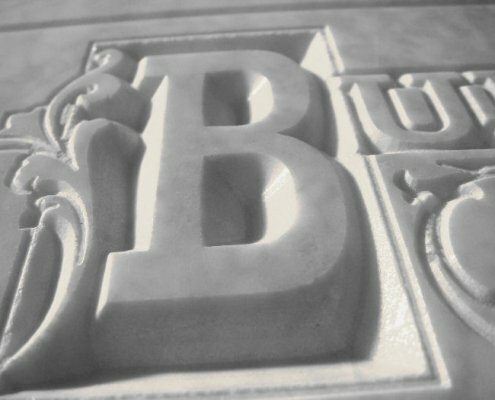 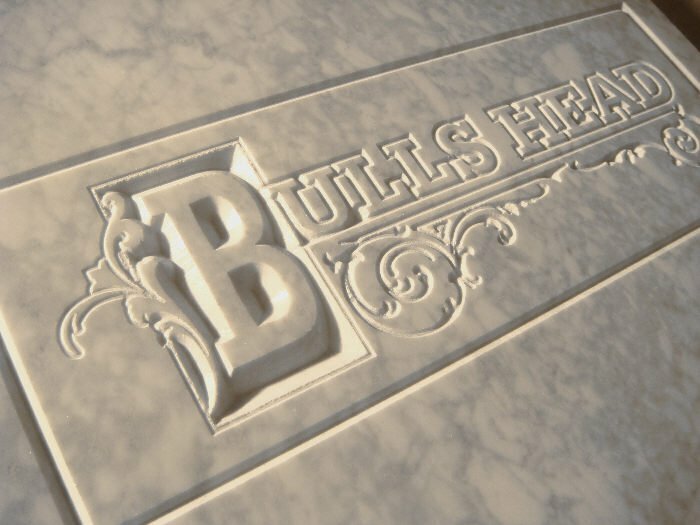 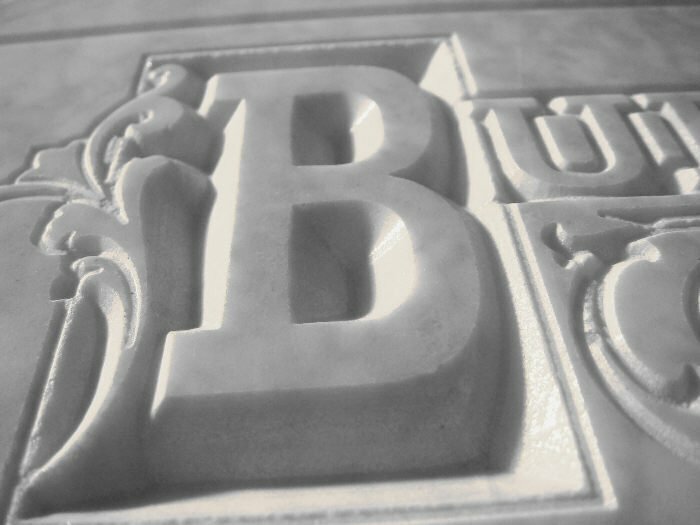 Offering this kind of lettering makes an additional value to your customers because the milling machine can engrave letterings and pictures quicker in stone than being handmade.